I always have bananas in the house so, if nothing else, I can make a banana cocktail. And you'll see below that I have done this quite often, not always because it's all I had in the house either. I love bananas, it's one of the reasons I always have them in the house. Aside from being healthy, they bring their own natural sweetness to a cocktail as well as providing a good amount of body and flavor to a drink. 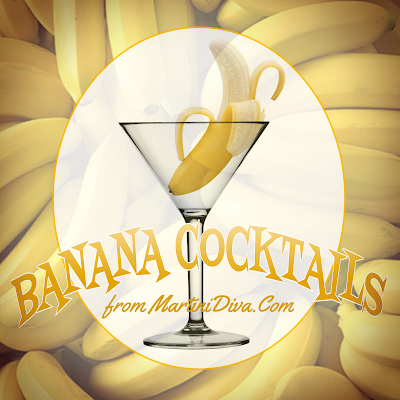 The best thing is that a banana that may be too ripe to eat is sometimes perfect for a cocktail because of the extra sweetness and flavor.